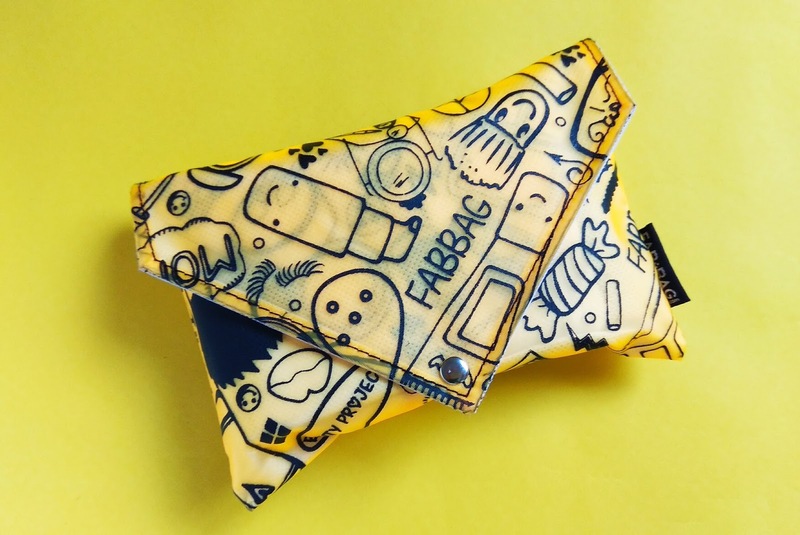 Hope you are ready to know what I received in this month's Fab Bag! I received the bag this month a bit later than usual. But, not at all dissapointed with the contents at all! 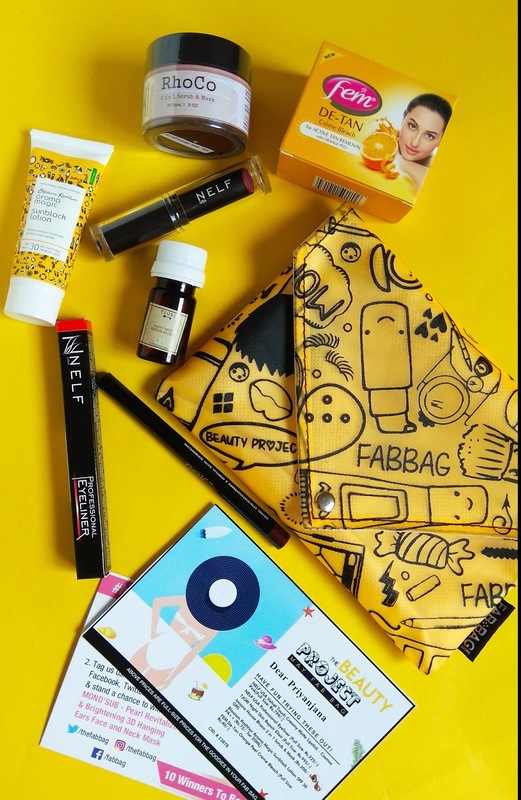 Let's see what I received in this cutesy doodle covered yellow bag. Starting my favorite picks! I love that this can be used with your moisturizer as well! During the day too. Made with organic oils , this will make a perfect summer skin treatment! This has a decent amount of product for a sample. It is made up of COFFEE! So, yeah, super excited to try this multi use product. 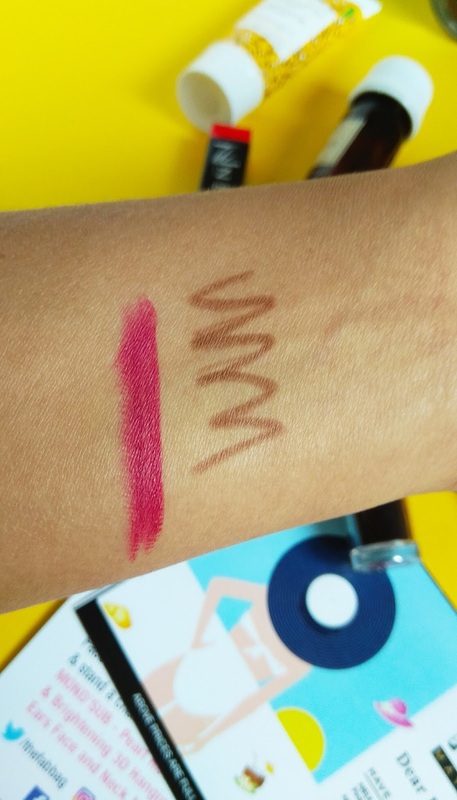 Like every month, I picked out a color for my this month's lipstick. A pretty pink, which perfectly suits my skin tone! Called Cosmos Pink. I am already wearing this. Check it out on my insta stories! I received a brown eyeliner. I have never used one before. Perfect for a soft summer look, though! A smaple size, SPF 30 sunblock! Perfect to carry around. It is perfectly spot on for the theme, but I do not use bleach on my facial skin. Maybe to de-tan my hands or feet. Will put this to use ! All in all, I love this bag! 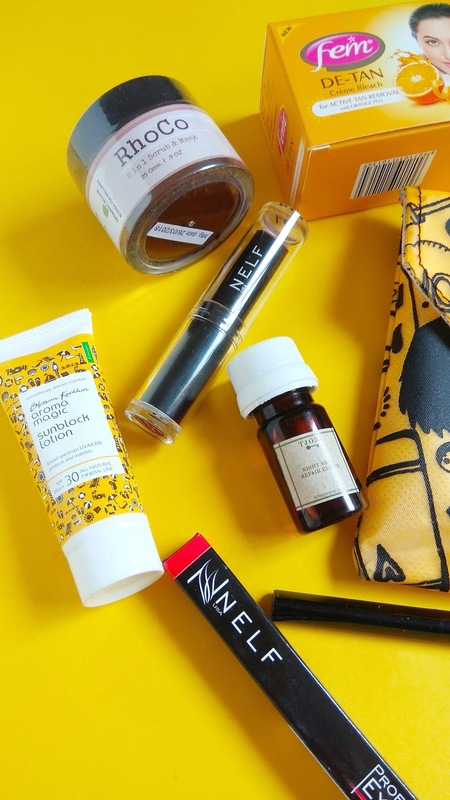 Honestly I was a bit unsatisfied by the bag last month, but they compensated for that this month, with a good mix of products and so many full size products! Hhahaha, It sure deserves all the attention!